The beautiful organic gardens of The Prince of Wales’s private residence, Highgrove, in Tetbury, Gloucestershire, have opened to the public for guided Spring Walks, garden tours and a variety of seasonal events with availability for booking on selected dates from April to October. Welcome to the April issue of our Gardens to Visit E-Newsletter, which provides you with all the latest news and information from gardens right across the UK. To find out more about each item featured below, simply click on it. Also, if you click on the garden name it will take you directly to the garden's own website. Our Gardens to Visit E-Newsletters enable you to decide which gardens to visit and the best time to visit them. representatives, this newsletter is the voice of British gardens. 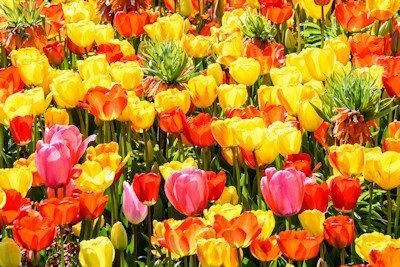 Tulip Festival is included in standard admission prices. The beautiful organic gardens of The Prince of Wales’s private residence in Tetbury, Gloucestershire, have opened to the public for guided Spring Walks, garden tours and a variety of seasonal events with availability for booking on selected dates from April to October. 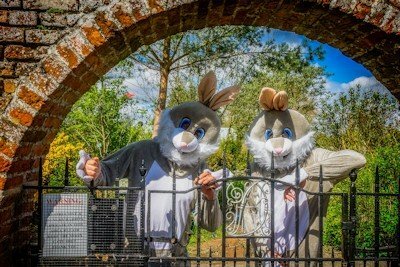 Lullingstone Castle and The World Garden kicks off its season with family fun on Easter Saturday with our new Easter Egg Trail. Aspiring plant hunters will be able to scour two acres of The World Garden for Easter clues and then report on their discoveries to claim an eggtastic surprise, plus the chance to meet some Easter Characters! Set within 120 acres of beautiful Kent countryside, Lullingstone Castle is one of England’s oldest family estates, dating back to the time of Domesday. An historic family mansion frequented by Henry VIII and Queen Anne. It is also home to the UK’s first ever ‘World Garden of Plants’ the vision of modern-day plant hunter Tom Hart Dyke. 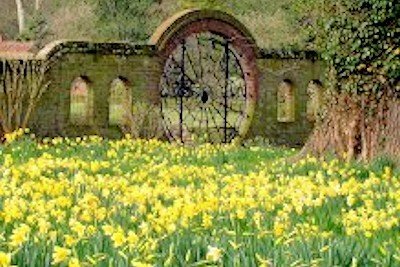 Houghton Lodge Gardens is a picture of spring. 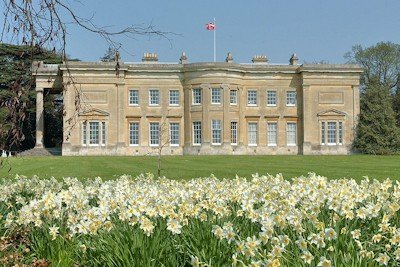 With daffodils lining the banks of the River Test, contrasting scilla along the front drive and the emerging tulips - the 2019 season is launching with an explosion of colour. 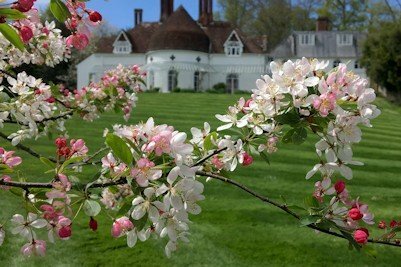 The formal and informal gardens of the 18th century historic house, near Stockbridge, Hampshire will open on Saturday 30th March and visitors will be treated to the heart-warming sights of spring across the Walled Garden, Long Border and Peacock Garden. In early April, the tulips will provide a splash of colour across beds and borders. Enjoy the copper orange colour of Tulip Ballerina, the peachy tones of Tulip Blushing Beauty and the deep red of Lasting Love. In the cutting beds 500 tulips have been planted to create a show-stopping view from the tearoom patio and new seating area. The Walled Garden will feature two new flower beds planted with old roses underplanted with beautiful perennials, as well as a restored water feature in front of the conservatory. The Hosta bed which was planted last spring, is also expected to flourish for the 2019 season, along with 42 old roses that have been planted round the garden. Cambridge University Botanic Garden has a wide range of garden & science based events for April from Drop-In Making to Bio-Blitz 2019. A chance to learn and enjoy in a beautiful setting. Highlights include Nature Weaving on 6th of April, Drop-In Easter Making on the 10th of April, Science on Sundays throughout the month and the Bio-Blitz 2019. Science Sundays is a programme of free, informal, monthly drop-in plant science talks, bringing the latest discoveries in plant science to our visitors in a 30 minute nutshell. At Bio-Blitz you can book onto a wildlife workshop or drop-in to discover, identify and record the wonderful animals and plants of the Garden. 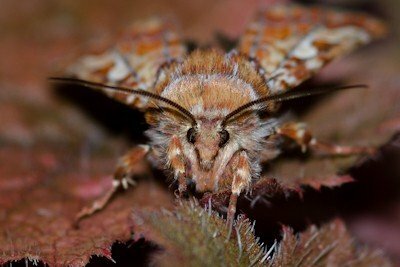 Oh, and the picture is a Hatha Moth! Nestling in the heart of Worcestershire is one of this country’s greatest secrets. Surrounded by parkland, largely unchanged for over 400 years, lays the 30 acre paradise of Spetchley Park Gardens. Spetchley is not a garden of formal cut lawns or manicured beds but rather a wondrous display of plants, shrubs and trees woven into a garden of many rooms and vistas. 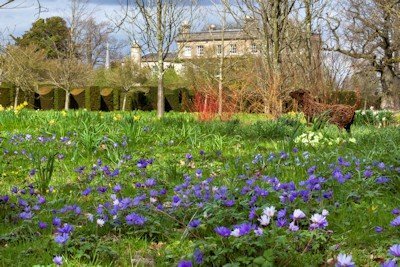 17-22 April Golden Egg Trail: Follow the bunny trail around 30 acres of wonderful historic gardens. Solve the puzzle and collect an Easter treat. Trail is included with children's admission. 28 April Specialist Plant Fair: An ideal way to start planning your planting for the spring and summer with many rare and beautiful plants from 40 specialist nurseries. Admission £6 for adults, free for under 16’s, includes admission to the Gardens. Come and enjoy our Easter trail around the gardens, follow the clues around the garden and answer the puzzle at the end to receive an Easter Egg prize, plus a mini Easter Egg hunt around the Spider Garden for the under 5’s. All Free with normal garden entrance fees. BBC TV’s Bargain Hunt are back at the Botanic Garden next weekend aiming to bring the hammer down on some more sparkling daytime TV offerings. 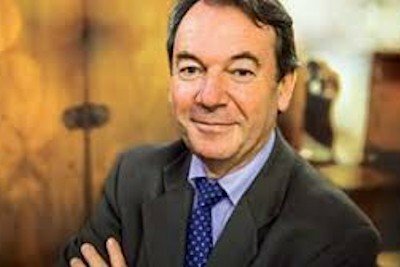 Everyone’s favourite presenter Eric Knowles will be helming the action around the 100+ stalls which are spread across the various picturesque venues at the Carmarthenshire attraction. To tempt and tantalise the red team and the blue team, fine displays of silver, jewellery, textiles, furniture can be found in all corners of the Garden, from the awesome Lord Foster-designed Great Glasshouse, to the Regency-era servants’ quarters - Principality House - just next door. There will, of course, be an emphasis on Welsh items, especially pottery - from Swansea, Glamorgan, Llanelli and the increasingly popular Ewenny. A visit to Glynda Speed’s stall to sample her samplers will be worth the entrance free alone. The entrance fee is just £5, by the way – and it’s Doggy Weekend, too. So, bring your pooch for a mooch. The Antiques Fair is on Saturday and Sunday April 6-7 and doors open at 10am. 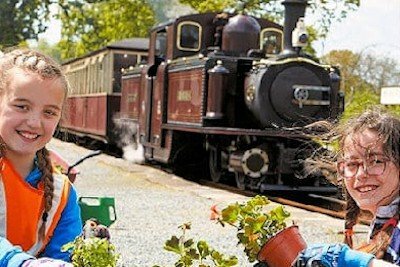 The Ffestiniog & Welsh Highland Railways is unique in Walesfor the number of superb and well-known gardens, which are regularly open to the public, can be reached by using the Railway. The Italianate village of Portmeirion is only a twenty-minute pleasant stroll from Minffordd Station along Portmeirion's leafy driveway, shaded by centuries-old oaks and chestnuts and with occasional glimpses out to the Dwyryd estuary and across the bay to Harlech Castle. The delightful Arts and Crafts garden at Plas Brondanw. Situated on the outskirts of the village of Garreg, Llanfrothen,the gardens are a flat 30-minute walk from Pont Croesor station, which is also the location for the Glaslyn Wildlife Visitor Centre, the perfect place to view the magnificent ospreys which nest in this valley from March. The Victorian mansion Plas Tan y Bwlch once the home of slate quarry owners the Oakeley family, is surrounded by another spectacular garden that is well worth visiting. Plas Tan y Bwlch is a 30-minute downhill walk from Tan y Bwlch station and passes through ancient oak woodlands and past beautiful lakes en route.